The ListView is the most used control of WinJS in Windows 8 metro apps. It’s build with three things : the data, a layout and an item templates. In this post, we will discover the different way to provide an item template and how to customize it. 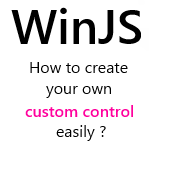 WinJS – how to create your own custom control ! Although they are really powerful and useful, they do not cover all needs and it’s time for us (the community) to provide some other controls. In this post we’ll see how this can be done. Don’t worry it’s in fact really easy and straightforward. 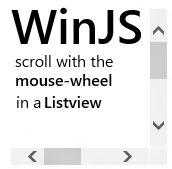 WinJS – Navigate in a ListView using mouse wheel is easy ! The listview can be considered as the most powerful control of the WinJS UI controls. It works very well in ‘touch mode’ and the user experience is just great ! When it comes to use the mouse & keyboard, the scrollbars appears and you can use them to navigate in the list. Then, the first thing you may try is to use the mouse wheel : no result at all ! By default, you can’t navigate in the listview using the mouse wheel. I think it can be really strange for user who are used to this behavior and in this post we’ll see how it’s easy to implement the mouse-wheel scroll ! 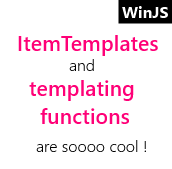 WinJS – how to cancel the navigation from a page ? 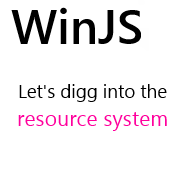 Did you use the WinJS navigation framework ? If not, you should really take a look at it because it’s can be really useful and powerful ! 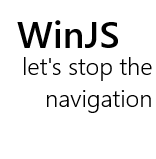 Today I needed to cancel the navigation from a page based on the current state of the page. It could be useful to zoom out of a semantic zoom instead of navigating back when the user tap the little arrow (windows phone habit 🙂 ). I was wondering how I would be able to code this and it turned out that this is pretty easy.